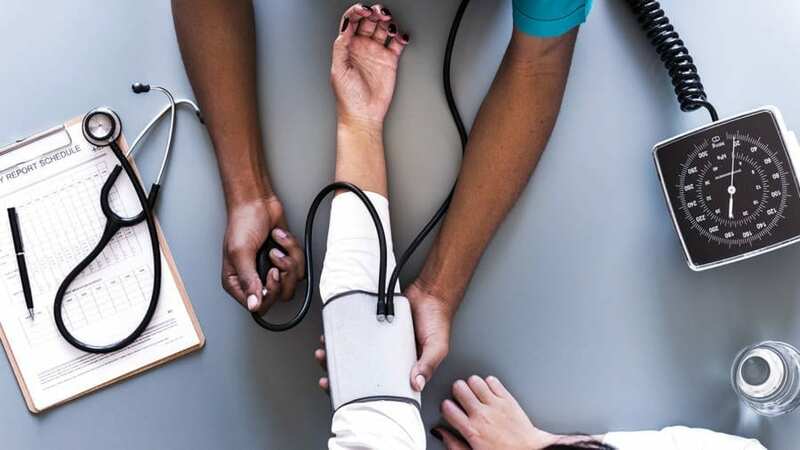 High blood pressure imbalance is a health problem that affects a lot of people around the world, being found in some countries in almost the half of their adult population. This affliction may appear due to several reasons and sometimes as a symptom of congenital conditions, diseases and syndromes that, in such cases, must be studied as a whole to find the right cure. But, in case you have high or even low blood pressure, there are some alternative therapies that can be used to palliate this issue. It’s important to mention that natural medicine helps your body to remember its own capacity to heal and regenerate itself. It’s accomplished not just by drinking infusions and taking natural remedies, but also by making changes in our nourishment and lifestyle, respecting inner circadian rhythms (like meals per day, time to go to bed and hours of sleeping, among others), and developing awareness about our emotions that may be causing the symptom. More details about them, next. More than just a diet, a life-extended change in your nourishment about the carbs you eat can make a great difference. It’s usually harder as most of these simple or net carbs promote addiction to them, but with constancy and motivation (where a little bit of medical supervision could be very helpful for the start) you can achieve this goal and it will be easier for your body to restore the balance in your blood pressure. As we start eating better carbs and food in general, our appetite for junk food and ‘breaks’ will get reduced. Nevertheless, it’s mandatory to care about the times per day you eat. In contrast to what most of the trendy fit media says, the better way to take care of our blood pressure and also of our pancreas and metabolism is having just 3 balanced meals per day and eliminating carbs from dinner. This way, you give your body the chance to make digestion properly and let pancreas regenerate. We can ease your carb-intake control by eating high-quality sources of protein. Most of the time, your brain asks for junk or fast food as they instantly supply the lack of energy and nutrients the organism needs including protein. To assure eating protein that’s going to be absorbed and properly used, we can neither fry them nor eat charcuteries. Wild Alaskan salmon, as well as organic eggs and chicken are the optimal choices. On one side, in our modern civilization, the most of the salt used for foods (even in homemade plates) is refined. This salt is by itself, a big responsibility of imbalances on blood pressure levels, as our body is naturally adapted to marine and other non-refined salt types. Refined salt is perceived by the organism more like a menace than a nutrient or beneficial mineral and, because of this, blood pressure loses its balance, not just because of eating too much salt, but also as a consequence of the immune response against this and other stressors and allergens in the food you just ate. These two ingredients are commonly prescribed to regulate cardiovascular activity. Using both ingredients in any of your recipes will be a healthy decision. To receive even better benefits, eat raw onion in salads or 1 up to 2 raw garlic cloves per day. Capsules of garlic extract may help as well. In a cup, bring together the onion, garlic cloves, juice of the lemon and enough water until all the ingredients get covered. Let it rest the whole night long and the next day in the morning, before breakfast, strain it and drink the tea. You may add this remedy to your changes in your nourishment for 1-2 weeks. If you need to add sweetness to the drink, use bee honey. For our heart is natural and even needed to work hard frequently. Through exercise, your body gets renewed and stress goes off. It also allows regulation of a lot of functions, including cholesterol levels, insulin resistance, immune activity and cardiovascular functioning in general. We are not suggesting to start with high-intensity training, but promoting physical activity that increases your heart activity, practiced constantly. Nature, as we always say, is our natural home. This is a very important truth for our mind and immune system. As we escape from the noises and toxins of the city, we can clean our vibes, mind and body in a way that eases regulation of the entire system. Once you return to the city, you can keep part of its energy with sounds of singing birds and waves. A symptom like this usually has an emotional cause. Sometimes those responsible emotions are hidden producing chronic problems and, in other cases, panic attacks when facing emergencies or very stressful situations can trigger high or even low pressure. In case of a panic attack, it’s very useful to breathe deeply and slowly, and even better, doing what’s called alternate nostril breathing. It consists on blocking with a finger one of the nostrils (right) to inhale through the left one and thereafter, exhale through the right nostril -previously blocked- only. Then, inhale through that same right nostril and exhale through the left one. As the meditative practice, this will give you a deep emotional balance and will reduce blood pressure unbalances. If you want to face emotions and attitudes that may be hidden behind chronic blood pressure problems, we suggest you put an eye on how permissive or –as its opposite- intransigent you are with others, when it’s about to love yourself first and have the courage to say no. Compassion and love are misunderstood as an attitude of complete benevolence to others, but the fact is that it’s a whole fake and risk for your health if you don’t love yourself first. Low blood pressure is more common in those who evade responsibilities and never set limits as a strategy to ignore themselves and the commitment they should have with their own souls. On the other side, people that are too intransigent have more risks of facing high blood pressure, as the veins and arteries –as the limits, we set against others- become rigid and the heart needs to beat faster and harder to bomb blood. As a compliment for healing of the psycho-emotional aspects of blood pressure, you should keep listening to music made with therapeutic purposes, like Solfeggio Frequencies, Tibetan Singing Bowls and Gongs and also Mantras, to raise your energy and let your body know peace and balance is possible, and that the key to keeping that harmony is within you. ‘Ong Namo Guru Dev Namo’ Mantra refines the energy around and within us.